This ain't no regular Annual, buck-o! This one counts! BLACKOUT is back, and he wants to re-establish his reputation by killing the toughest guy in town... Spider-Man! 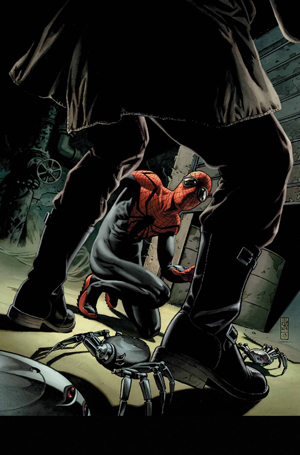 He plans to force Peter Parker Spidey into a trap. Blackout's leverage? Aunt May! The world will never look at Superior Spider-Man the same after this. BE THERE! Final cover may vary.